Then I saw Him as a large lion just above the clouds as if He was walking on them. His size covered part of the sky. As He roared, it seemed to be like a clarion call to gather us together. I looked to my left to see if others heard the roar or saw Him. I saw all arms raised like in a packed worship service with all of us personally praising Him as He roared and roared from above the clouds! It was as if He wanted to show us that He as the Commander of his remnant army was now here to stay and would lead us in the next phase of what He was doing. A man from Spain was crying and said he was in his 40’s and never married, but now he felt the deepest love he had ever known. I cried because I was alone and didn’t see anyone I recognized as we all walked toward the place to the right. My thought at the time was that the remnant might be smaller than what we think, coming from all kinds of denominations around the world. I never saw more than those within 50 feet of me, so there was no way to know the total number of people. To me, Pastor Henry’s vision draws out in detail what all of us were walking toward to the “right” part of the field to receive, the instructions we were to understand. Thank you for that post. Since April this year this scene of seeing many peoples arms lifted high towards the sky is pluged in the ceiling of my bedroom. They are all walking towards the same dire tions like if they are coming out of a storm. Now I understand better the meaning by reading your post. On my spirit when I starred at my ceiling, it would say: they are those that come from great persecutions, hardships and troubles all this because of their Faithfulness to the Lord. They are called the Faithful ones, I heard 144K. May God be our help in this hour. God bless your ministries and work for Him. Several years back. I was awakened and rolled over to see the most beautiful majestic Lion lying beside my bed. 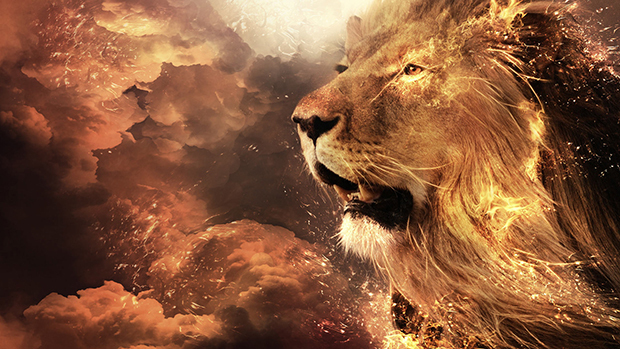 I said to myself as I rolled back over , “Oh the Lion of the tribe of Judah is watching over me!” Then I fully awoke and turned back over quickly and He was gone. But what great peace I had. A long time ago I had a dream that was so much more colorful than real life I still remember the details after more than 10 years. It was like a journey from being called by God out of those going into destruction and moving through about three different fields in a sloping manner. We were always a group of about 10 to 15 people . At foot of the hill we were diverted from a town and told not to go there . We then followed a wide road to the right and came to a great city with sky scapers of gold and numerous bright lying dressed and happy people form every nation . But they just cheers us along we didn’t enter in to the city but on the outskirts we entered into a cafe to get refreshments . There the person giving us choices of food looked peculiar to me . I kept looking at Him only to realise it was God our father in disguise. Then we finished our meal we were escorted out and still walked down a road after which everything changed and we were preparing for sth like a battle, putting on some kind of rock climbing gear etc . And it became grey and rainy we were soaked and knew we were going on some kind of hard mission. sounds to me like these are the sheep who are sent to His right, to enter into all that He has prepared for them. I have also had a dream of people all streaming to a place, it was straight in front of me as I went there but if looking at the direction all the traffic was travelling on the road where I started off, the field was to the right of the main road.